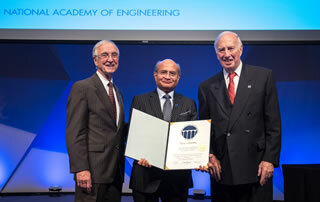 Professor Tariq Durrani OBE, and IEEE Life Fellow has been elected as a foreign member of the US National Academy of Engineering. 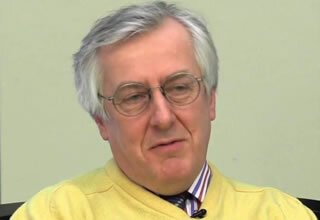 He is among 16 new Foreign Members elected to the Academy this year from throughout the world, and is the first person from Scotland to receive such recognition since the Academy’s foundation in 1964. 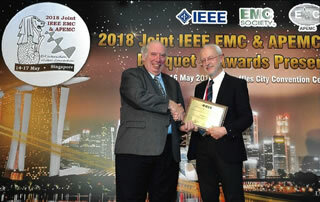 Electromagnetic compatibility (EMC) specialist Keith Armstrong has become the first person to receive the Institute of Electrical and Electronics Engineers’ (IEEE) new Excellence in Continuing EMC Education Award, presented at the 2018 joint IEEE EMC Society and Asia-Pacific EMC (APEMC) symposium. 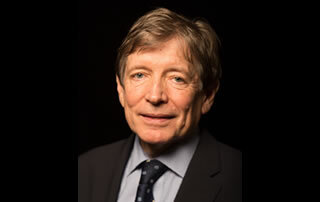 Professor Alwyn Seeds is to receive the 2018 Distinguished Educator Award of the IEEE Microwave Theory and Techniques Society (MTT-S). This award is given to a distinguished educator in the field of microwave engineering and science who exemplifies the special human qualities of the late Fred J. Rosenbaum who considered teaching a high calling and demonstrated his dedication to the MTT-S through tireless service. IEEE Microwave Theory and Techniques Society (MTT-S) President Thomas J. Brazil passed away unexpectedly on 13th April 2018. He was serving as President-Elect of the MTT-S in 2017 and President from January 2018. The Memorials Committee is planning to recognise Professor Brazil and his contributions to the Society at IMS2018. 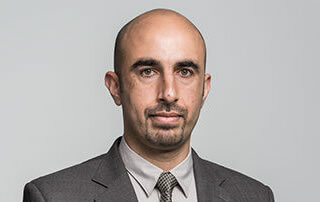 IEEE UK and Ireland Section Committee Member, Dr Zeyad Al-Shibaany, has been awarded a prize as one of the 25 outstanding young scientists in the world in Sustainable Development. The Prize is awarded by Federal Ministry of Education and Research (BMBF) in Germany, and it is a fully funded 3 to 6 months fellowship in one of the leading Universities in Germany. The Scottish Chapter of the Electron Devices Society is proud to report that two of our membership have been awarded Fellowship in the Royal Society of Edinburgh (RSE). The Mustafa Prize, awarded biennially, is a top science and technology award. It was presented on Sunday 3 December 2017 in the field of Information Sciences and Technology to Professor Erol Gelenbe, from Imperial College London.